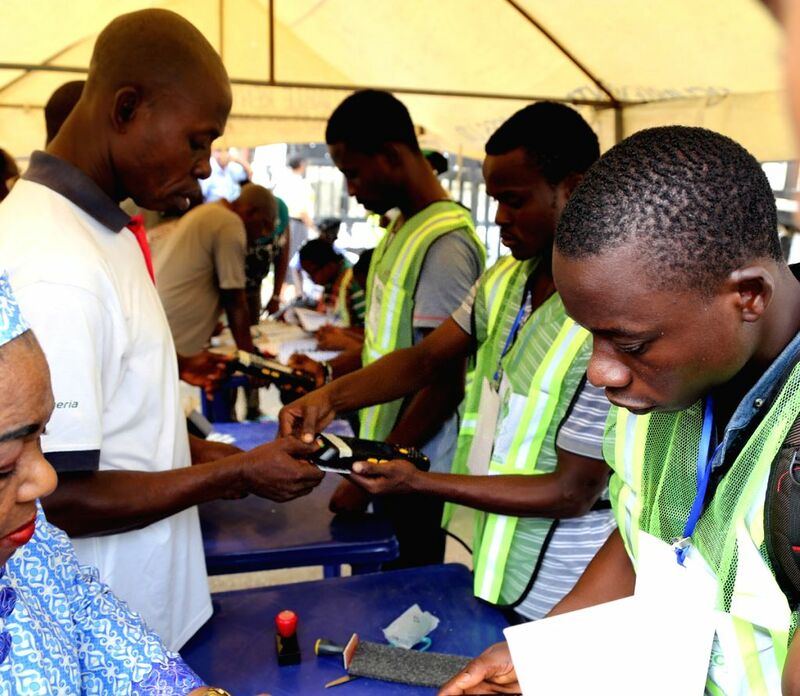 LAGOS, March 28, 2015 - The Independent National Electoral Commision (INEC) officials register voters in Lagos, Nigeria, on March 28, 2015. Polling stations across Nigeria opened on Saturday amid tight security, as more than 56 million eligible voters went there to cast their ballots to elect a new president, Nigeria's Independent National Electoral Commission said. 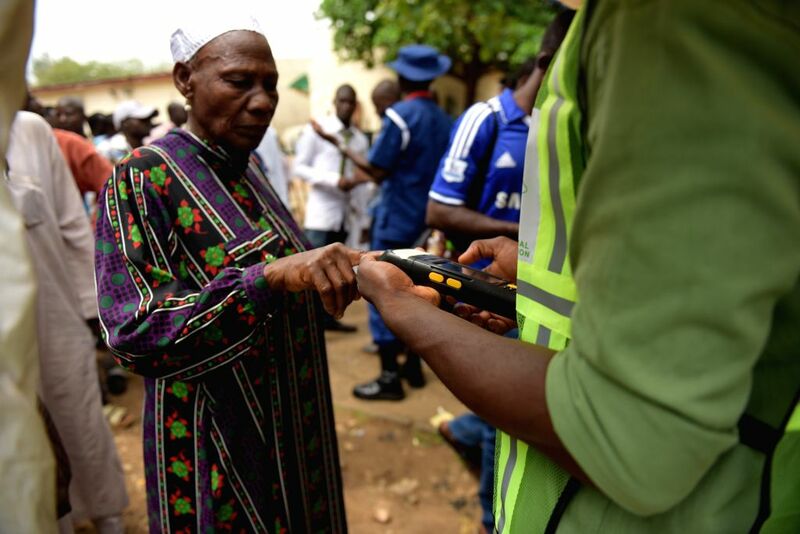 An old female is checked for her identity before the vote at a polling station in Abujia, Nigeria, March 28, 2015.